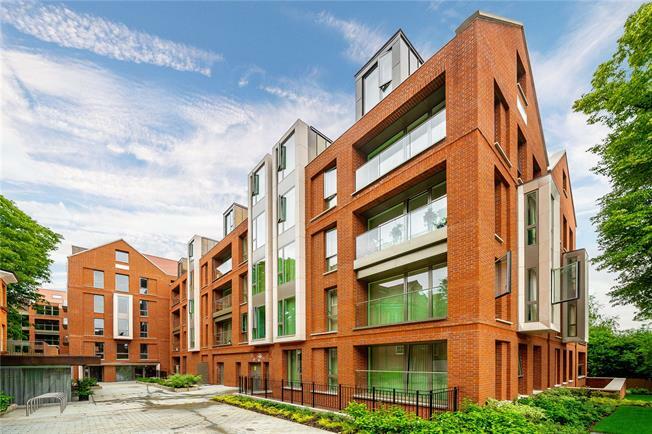 3 Bedroom Flat For Sale in London for Offers in excess of £1,600,000. of heritage with contemporary finesse. This outstanding new development spans almost two centuries and many different eras of architecture and interior design, embracing all of the qualities that have long made NW3 one of the most desirable British postcodes. Rosalind Franklin Hall offers homes of immaculate design. This flat enjoys a location of the first floor and offers 3 generous bedrooms, of which the master has an en suite bathroom, walk-in dressing area and a balcony. The reception dining room also enjoys a private balcony and is open-plan to the stylish kitchen. A shower room completes the accommodation. Residents enjoy facilities to include, spa, gym, swimming pool, 24 hour concierge and well-maintained communal gardens to include Teil Green, The Orchard & The Sumray Gardens. This apartment has a reserved underground parking space. Hampstead Manor is a stroll from Hampstead tube station with Northern line services to the centre of London. Finchley Road & Frognal station is also accessible providing Jubilee Line & Thameslink services. NB: Computer generated, generic images.